Verizon Enterprise Solutions, a B2B unit of the telecommunications giant that gets called in to help Fortune 500’s respond to some of the world’s largest data breaches, is reeling from its own data breach involving the theft and resale of customer data, KrebsOnSecurity has learned. Earlier this week, a prominent member of a closely guarded underground cybercrime forum posted a new thread advertising the sale of a database containing the contact information on some 1.5 million customers of Verizon Enterprise. The seller priced the entire package at $100,000, but also offered to sell it off in chunks of 100,000 records for $10,000 apiece. Buyers also were offered the option to purchase information about security vulnerabilities in Verizon’s Web site. 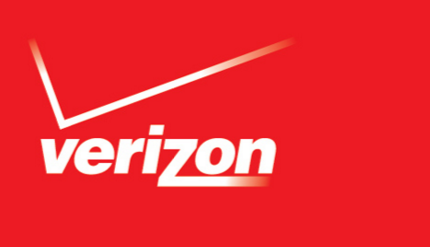 Contacted about the posting, Verizon Enterprise told KrebsOnSecurity that the company recently identified a security flaw in its site that permitted hackers to steal customer contact information, and that it is in the process of alerting affected customers. Nationwide beauty products chain Sally Beauty appears to be the latest victim of a breach targeting their payment systems in stores, according to both sources in the banking industry and new raw data from underground cybercrime shops that traffic in stolen credit and debit cards. On March 2, a fresh batch of 282,000 stolen credit and debit cards went on sale in a popular underground crime store. Three different banks contacted by KrebsOnSecurity made targeted purchases from this store, buying back cards they had previously issued to customers. The card shop Rescator advertising a new batch of cards. 15 cards purchased by banks from this batch all were found to have been recently used at Sally Beauty stores. The banks each then sought to determine whether all of the cards they bought had been used at the same merchant over the same time period. This test, known as “common point of purchase” or CPP, is the core means by which financial institutions determine the source of a card breach. Each bank independently reported that all of the cards (15 in total) had been used within the last ten days at Sally Beauty locations across the United States. Denton, Texas-based Sally Beauty maintains some 2,600 stores, and the company has stores in every U.S. state. Asked about the banks’ findings, Sally Beauty spokeswoman Karen Fugate said the company recently detected an intrusion into its network, but that neither the company’s information technology experts nor an outside forensics firm could find evidence that customer card data had been stolen from the company’s systems. Fugate said Sally Beauty uses an intrusion detection product called Tripwire, and that a couple of weeks ago — around Feb. 24 — Tripwire detected activity. Unlike other products that try to detect intrusions based on odd or anomalous network traffic, Tripwire fires off alerts if it detects that certain key system files have been modified. In response to the Tripwire alert, Fugate said, the company’s information technology department “shut down all external communications” and began an investigation. That included bringing in Verizon Enterprise Solutions, a company often hired to help businesses respond to cyber intrusions.